Send us your order via email to rachelsrainbow2008@gmail.com. Please include the bracelet description (line and model) as well as the amount you need. You may also include a note if you need a modification to the original design (i.e. requesting a larger size). You will receive a confirmation email soon after your request. Along with your order, please let us know whether you intend to complete the order in person or through mail. 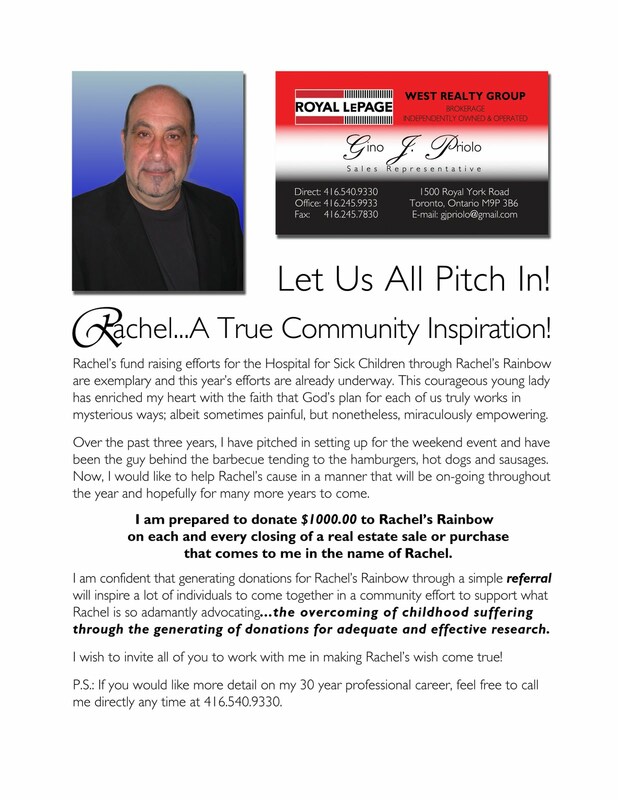 Payments through mail must be made by cheque (payable to Manuela Boni, the administrator of Rachel's Rainbow). If you choose to have your order mailed to you, we will send you mailing information in your confirmation email. In-person transactions may be paid by cheque, cash, or money order. Sorry, we do not accept credit and debit cards. Is there a charge for shipping and handling? Yes, orders being shipped by mail are subject to a shipping and handling charge. This charge completely depends on the size of the package (which is determined by the number of bracelets being ordered). In-person transactions are not charged shipping and handling. Can I receive a tax receipt for my purchase? We appreciate your support, but money received through the purchase of merchandise is not eligible for a tax receipt. Can you custom-make a bracelet for me? Some bracelets allow for modifications (for example size). In your order simply make a note of your modification. Provided we have the materials, we will gladly make your bracelet. If you have a more specific question, email us, and we'll let you know if your custom design is possible.